Following two consecutive years of extremely successful events, we are pleased to announce that Nigel Voisey will be holding yet another fantastic Titanic exhibition in early 2018. 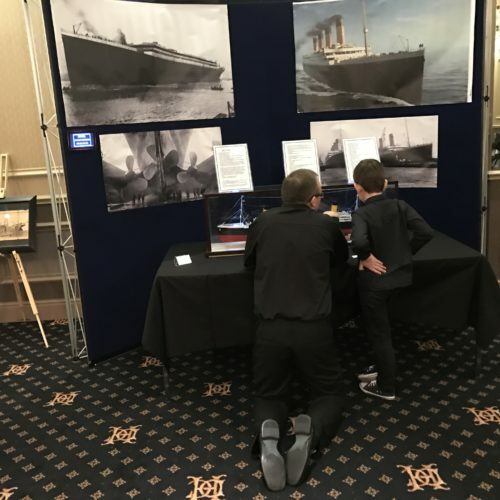 The exhibition will showcase a fascinating selection of artefacts and memorabilia relating to RMS Titanic and White Star Line, the shipping company that created her. Nigel is passionate about the history of Titanic, the knowledge he has for the subject is next to none. It is clear that Nigel relishes the opportunity to share his fascinating collection with a wider audience and we are thrilled that he will be returning to the hotel. To give you a flavour of the day, here is the footage from the 2017 exhibition. For full details about the exhibition and to learn more from Nigel himself, please click here to visit the Titanic and the City of Plymouth website.